Our innovative LK electric chain hoist is offered in capacities from 1/8 - 5 ton (125 -5000 kg). With the drive train originally designed to meet the noise and size specifications of the entertainment market, you will not find a quieter or more compact design in the industry. The LK electric chain hoist comes standard with all the features you need to get up and running today. 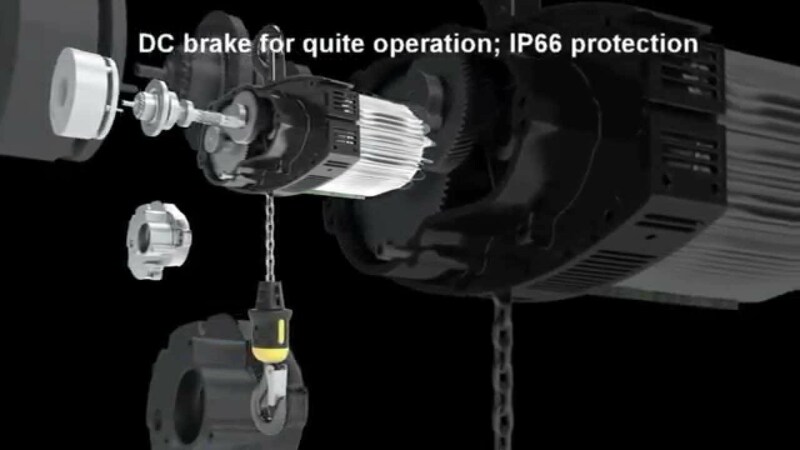 Many of the key drivetrain components of the LK electric chain hoist have been designed to last for the designed working period of the hoist, such as the hoist motor, motor brake and gearbox. The hoist brake is self-adjusting, so air gap adjustments are not required, and the hoist gearbox is permanently lubricated. When maintenance is required, the LK hoist is designed for ease of maintenance. The chain guide and sprocket are easily accessed from the outside of the hoist, and the electrical components are all plug-and-play connections for quick inspections and replacements. Electric chain hoists need to be tough to stand up to industrial use. The LK chain hoist features an all pressure case aluminum body, which protects the electrical parts inside the hoist. The plug-and-play connection and rocker-style electrical limits are all housed inside the hoist body for improved protection, and cable gland entries are tested for maximum use to hold up to 400 pounds. Additionally, R&M's LK hoisting gearbox meets a minimum AGMA 10 rating to bring you the best precision and durability available in the industry. Safety is critical in any industrial operation. Our LK hoists are factory load tested at 125% the rated capacity and feature an innovative slip clutch overload device with the overload factory set at 110% the rated capacity. The slip clutch is easily accessible from the end of the hoist body. The rocker style upper and lower hoisting limits also keep you safe and protect the equipment by preventing overtravel of the hook and chain. The LK hoist comes with maintenance and safety information created specifically for your equipment. No more guessing whether you are following the correct guidelines! Take advantage of our 48 hour RX shipping with the following LK electric chain hoist models. Limited voltage and suspension selections available. 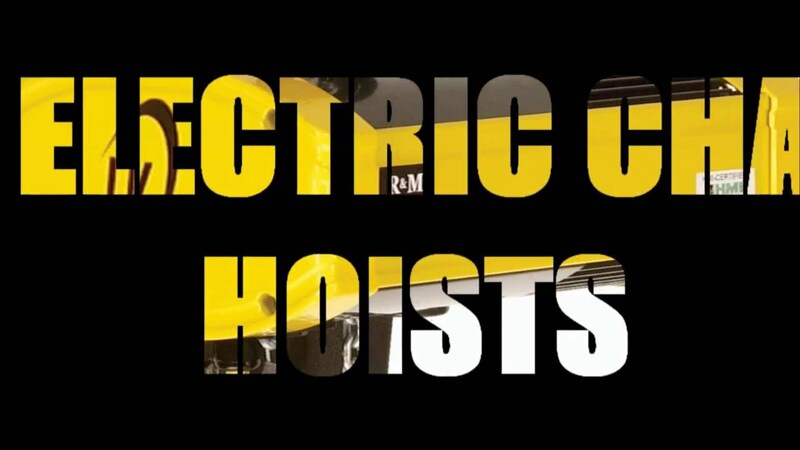 Select R&M's LK electric chain hoist and get a 2 day lead time with NO ADDITIONAL CHARGE! Push trolley flange with up to 8"
*There is no limit on the quantity for the RX Program, but production has prepared for a volume based on historical data. An increase in sales could limit our ability to meet the published lead time. Continual production adjustments will be made to handle the demand. Orders received after 4:00 PM EST will be processed the next day. LK Electric Chain Hoists by R&M Materials Handling, Inc.